The YD Design Storm takes a look at products, services, and spaces that are storming the internet. The idea? To turn internet-storming material into brainstorming material! Scroll down for our collection of handpicked works from design websites, portfolios, and social media. Get inspired, save projects, pin images, or share links with fellow design enthusiasts! This edition of Design Storm focuses on the best side table designs that are trending right now! 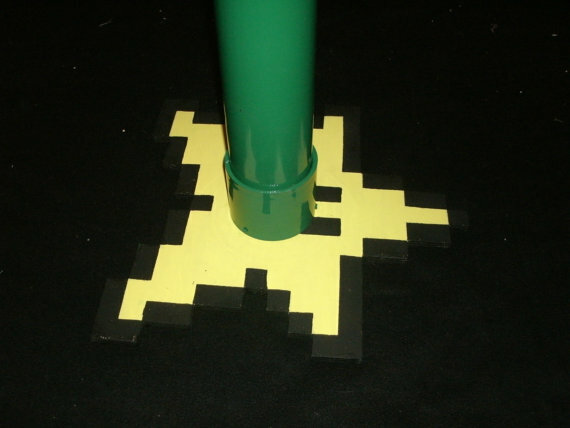 I wish I could furnish my entire house in 8-bit furniture. I’d even walk around in pixelized clothing, just for fun. 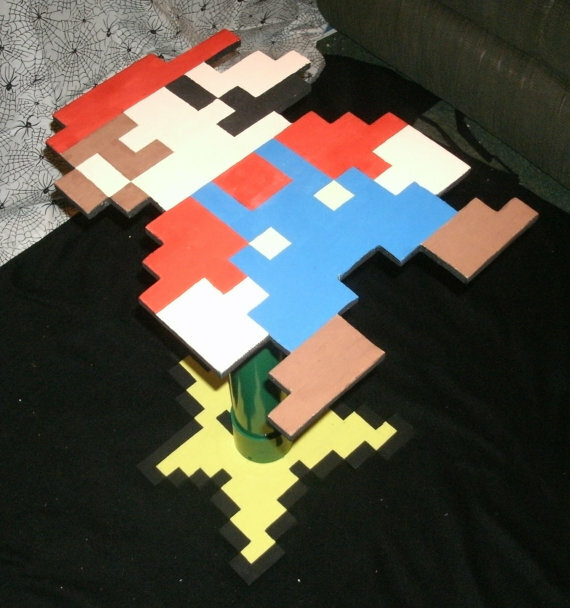 High on my wishlist is this Super Mario Side Table. The table top is made from furniture grade wood and the center stem is made from PVC pipe- you wouldn’t expect any less from a princess finding plumber. There’s even a nice little touch with the star serving as the base. Now the catch (and there’s always a catch, right? )- it’s already been sold. Arrrgh. I guess that leaves two options- either contact the seller and have them make another one-of-a-king retro gaming table or start gathering an assload of pushpins and make one myself. Or just sit here on the couch and dream some more 8bit dreams. Probably the latter. Get a shelf next to your bed anytime, anywhere, instantly with the Urban Shelf . 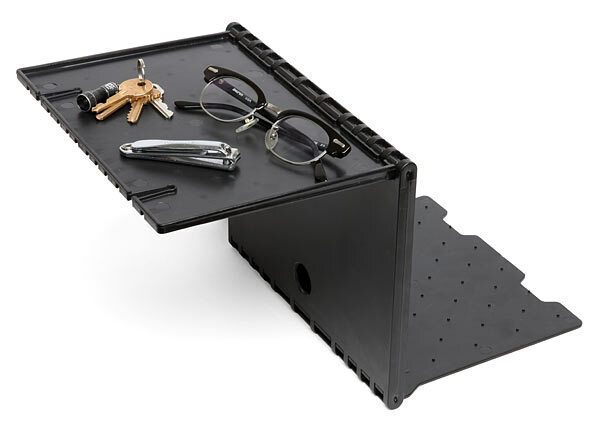 This fold-flat shelf is perfect for small spaces. 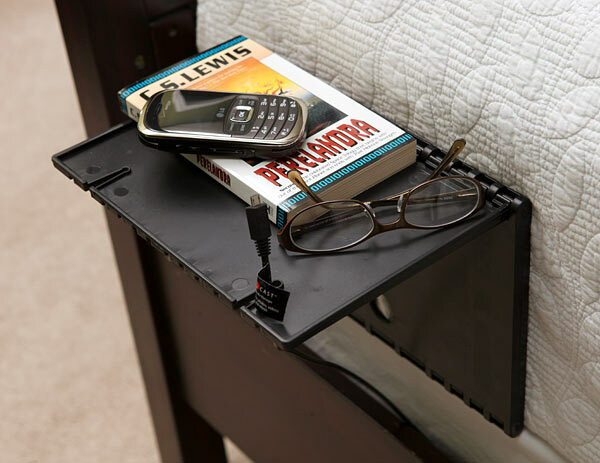 Just unfold it and tuck it under your mattress or couch cushion and you instantly have a small side table that can hold your cell phone, book, tablet, or glasses. No assembly required. There’s a pair of cord holders to keep your charging cables intact and an edge lip to prevent things from rolling off. Great for dorm rooms and travel too. Just $14.99 and made in the USA.